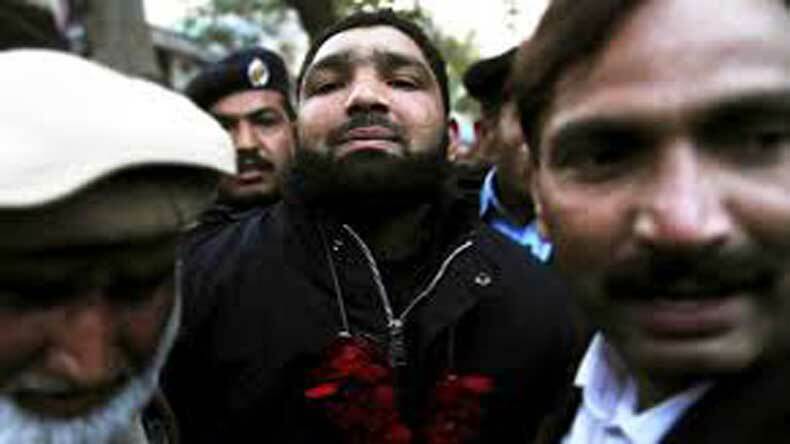 Islamabad: Pakistani religious parties representing the Barelvi school of thought have offered blood money to the family of slain Punjab governor Salman Taseer to pardon his killer Mumtaz Qadri. Qadri, a former police commando, shot Taseer dead with his official gun in Islamabad in 2011 for criticising Pakistan’s controversial blasphemy law. The blood money was offered after Islamabad High Court on Monday rejected his appeal against conviction by a lower court and upheld his death penalty. Yesterday, leaders of the Jamiat Ulema-i-Pakistan (JUP), the Jamaat Ahle Sunnat, the Pakistan Sunni Tehreek and the Pakistan Sunni Alliance offered the blood money. “We are ready to pay much more Khoonbaha (blood money) to the family of Salman Taseer (for Qadri’s release),” said Shabbir Abu Talib of the JUP. He cited the case of CIA contractor Raymond Davis who was freed after paying blood money to families of two men he killed in Lahore in 2011. According to Islamic jurisprudence, a killer can be pardoned by the legal heirs of the victim with or without taking blood money. Qadri is considered a hero by some extremist groups for killing the governor who had branded the blasphemy law as a ‘black law’.